The shape of Earth’s orbit around the sun is not a circle and is slightly elliptical. Therefore, according to modern astronomy and science, the distance between the Earth and the Sun varies throughout the year. The nearest point in the earth’s orbit is known as Periapsis (Perihelion) at which the Earth’s orbit around the Sun, the Earth is 147,166,462 km from the Sun. It usually occurs around January 3. The farthest point in the earth’s orbit is called Apoapsis (Aphelion) when the earth is farthest away from the sun around July 3 when it is 152,171,522 km. Hence, the average distance between the Earth and the Sun is 149,597,870.691 km. Modern scientists measured the distance between the Sun and the Earth for the first time in 1672 which was by Jean Richer and Giovanni Domenico Cassini. They measured the distance between the sun and earth as 22,000 times of the Earth’s radius (Total Distance: 220000 x 6371 = 140,162,000 km). However, the Hindu texts such as the Vedas and Upanishads have guided the Indian civilization for thousands of years. They are considered as the pillars of Hinduism. ‘Veda’ which basically denotes ‘Knowledge’, is a collection of observations and information that goes well beyond the comprehension of ordinary human beings. It consists of information that delves into various branches of science such as astronomy, physics, chemistry etc. One solid example is the calculation of the distance between the Sun and Earth mentioned in the Hanuman Chalisa. The fact that the distance between the Sun and Earth was accurately measured 2 centuries before the modern scientist is probably one of the most astounding facts of Hinduism. The well renowned Hanuman Chalisa, authored by Goswami Tulasidas who was born in the 15th century. The Hanuman Chalisa is known to have accurately provided the distance between the Sun and our planet Earth. This fact basically means that this scientific information was discovered 2 centuries before the 17th-century scientists. Based on scientific findings Earth is farthest away from the Sun around July 3rd when it is 94,555,000 miles (152,171,522 km) away. This point in the earth’s orbit is called Apoapsis (aphelion). 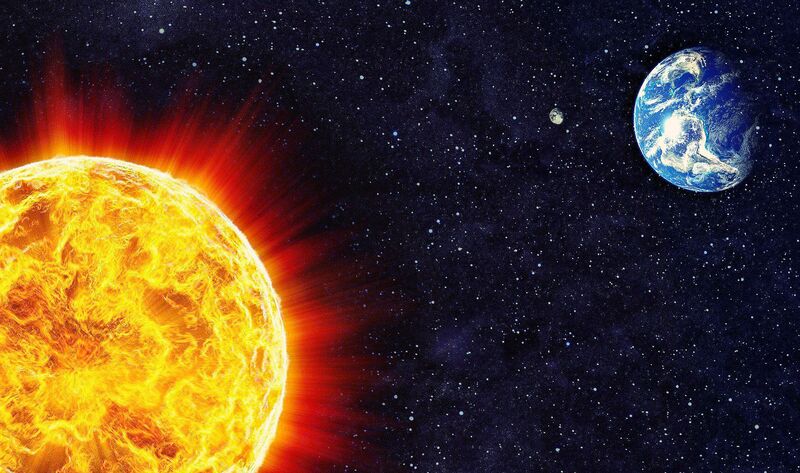 The average distance from the earth to the sun is 92,955,807 miles (149,597,870.691 km). Sun is at the distance of sahastra (thousand) yojan (an astronomical unit of distance). 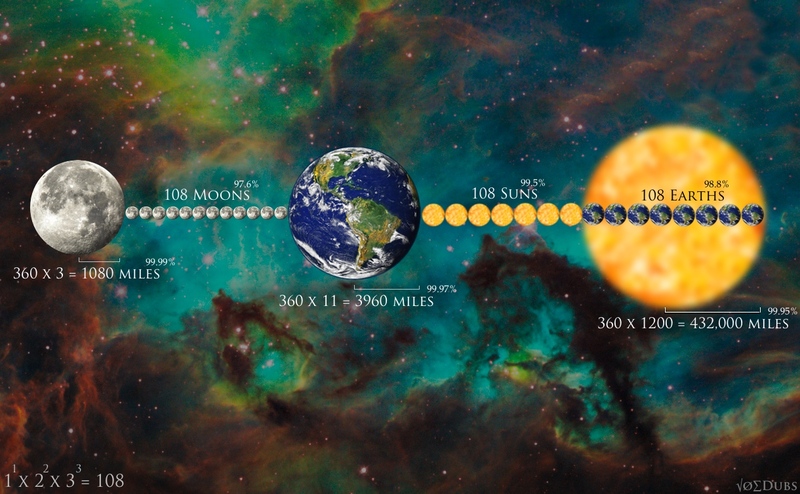 96,000,000 x 1.6kms = 153,600,000 kms to the Sun. After certain intellectuals decoded this famous line of Hanuman Chalisa by Tulsidas they could find the distance of Earth, they found that it is exactly the same as that discovered by scientist later. However, the Earth will have slight variations of distance to the Sun based on the different season because it moves around the Sun in an elliptical manner. It is very interesting how it is mentioned; When Hanuman was very young, he flew from Earth to the sky in the direction of the Sun to eat it, assuming it to be a ripe, luscious fruit. Tulsidas while stating this incident in the Chalisa in simple languages gives the distance between the Earth and the Sun.